A stabilizer is a vital component which is used to check serious damages to electrical appliances such as ACs, TVs, refrigerators etc. They are highly effective in checking fluctuations in voltage and check damages caused by the issue and in turn enhance the durability of your electrical appliances. A stabilizer with the latest design and adherence to existing industrial specifications can protect your appliances from voltage fluctuations over a long span of time. What is The Main Usage of a Stabilizer? How Does It Protect Electrical Appliances? Stabilizers (also known as Automatic and Safe Voltage Regulators) are static devises that are used for detecting fluctuations in utility and through internal regulation deliver a consistent range of output voltage. 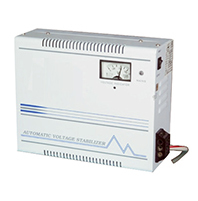 Once the home voltage stabilizer finds that your voltage is low, it will stabilize it and boost it to the required level and feed the equipment which it is connecting to. This happens inversely for a high voltage in the utility line. 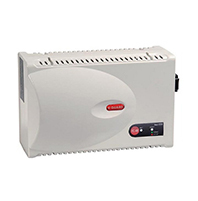 The stabilizers ensure efficient availability of voltage with the help of an electronic circuitry that change the required taps of an inbuilt auto transformer using high quality electromagnetic relay to produce the necessary voltage. In case the voltage supplied doesn’t fall within the range, in that case a mechanism changes the required transformer tap, bringing the voltage supply within a secure range. Therefore, the stabilizer acts as a bulwark between your electronic appliance and utility for round the clock tracking and verification of fluctuations in voltage that are visible in the utility. It will make sure that your appliance has access to a consistent voltage range as it puts its input for a smooth operation and ensures a long life span. How to Select a Right Sized Automatic Stabilizer for Home Use? Choosing a suitable stabilizer is essential to ensure the smooth functioning of your appliances. The major areas that you will need to pay attention to is nature, power consumption range of the appliance and the level of voltage fluctuations that take place in the locality. To ensure a high level of safety for the equipment to be protected, you need to check the rating of the equipment that requires protection. Most of the ratings are usually mentioned as Amps, KVA and KW. Therefore, you will need to have some basic idea about nominal line voltage and frequency. Verify the voltage, current and power ratings of the deviceYou can find the necessary information on the specification sticker close to the power socket. In case they are not available, you can take the help of a user manual. The normal Indian standard voltage is 230VAC and 50 Hz. In orderto acquire maximum power, multiply ‘’230x Max rated current’of all appliances that you are going to connect with the stabilizer. Add around 20% safety margin while to determine a stabilizer ratingof all appliances that you are going to connect with the stabilizer. Also make it a point to consider the surge currentthat flows once you switch on the device. The vital thing that you need to know is the nature of load which you are connecting to your stabilizer. Make it a point to jot down the power (or Watts) for appliances which will be connected to it. The total sum of power consumption (Watts) will give you an indication of the load on the stabilizer in watts. However, majority of automatic stabilizers sizes are in VA (Volt Ampere) or kVA (kilo Volt Ampere that is equal to 1000 Volt Ampere). Though some measurements may be essential to get actual VA (or Volt Ampere) from Watts(W), to have an estimate, you can increase the Watts value by 20% in order to get a clear VA size that you need. So, for instance if the total Watts connected to the stabilizer you have is 1000, then you can for a model which has a 1200 VA or 1.2 Kva. (Please keep in in mind that 20% works only for stabilizers used in homes and is not suitable for use in industries with poor power factor). Normally, a stabilizer is available with different working ranges (working range refers to the voltage range where the stabilizer operates the input utility voltage and offers a suitable output voltage). Also take into account the stabilizer that suits the voltage fluctuations in your neighborhood. What Features Should Your Stabilizer Have? As a voltage stabilizer runs using electric power, it is highly vulnerable to damage if it gets wet or on being placed on the ground. Therefore, mounting the stabilizer on the wall would be the most suitable option for you. Doing so will not only ensure a high level of protection to the device but also keep your children safe from the risk of electrocution. This feature allows a time lapse in order to enable the inbuilt compressor (in case of an air conditioner or refrigerator etc.) acquires sufficient time in order to balance the current flow when a power cut takes place for a short time duration.